Welcome to our page! For our Interactive Qualifying Project(IQP) we worked with the Park Spirit of Worcester in order to develop a sustainable framework that established a funding mechanism, management team, and volunteer engagement plan through the development of the Elm Park Conservancy. For our Interactive Qualifying Project (IQP), we worked closely with the Park Spirit of Worcester. Our sponsors, Rick Miller and Brittany Legasey, are board members of the Park Spirit organization who contacted the Worcester Community Project Center in order to seek help in establishing an Elm Park Conservancy that would be responsible for maintaining Salisbury Park, the Newton Hill Section of Elm Park, and potentially other parks in Worcester. Our team assisted Park Spirit in the planning and implementation of the EPC by developing a sustainable framework that serves as a long-term structured plan. Through our project, we increased the sustainability of Elm Park and Salisbury Park by developing a framework that establishes a funding mechanism, management team, and volunteer engagement plan through development of an Elm Park Conservancy. We interviewed representatives from various local non-profit organizations such as The Greater Worcester Land Trust and The Greater Worcester Community Foundation in order to get a better understanding of how Worcester organizations fund and manage themselves. We also interviewed representatives from 20 different conservancies in the United States.Finally, we compiled the information gathered from these interviews and made recommendations to our sponsor. 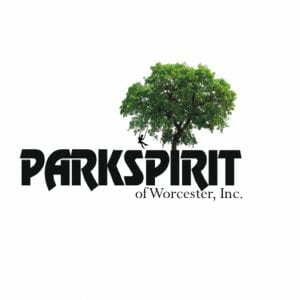 Park Spirit of Worcester is a non-profit organization established in the 1980s dedicated to the preservation of Worcester’s green spaces. Parks Spirit’s mission is “to protect, to promote, to enhance, and to advocate for Worcester City Parks for all individuals to enjoy these public resources” (Park Spirit Official Website). In addition, Park Spirit is the umbrella organization for volunteer organizations such as the Friends of Newton Hill and the Green Hill Neighborhood Association. Park Spirit acts as a fiscal custodian for these organizations. Here is a link to Park Spirit’s Official Website. The Elm Park Conservancy project was completed by four juniors enrolled at Worcester Polytechnic Institute. Leah Navickis(Actuarial Science), Will Suriner(Interactive Media and Game Design), Saeed Alshahrani(Chemical Engineering), and Swan Htet(Electrical and Computer Engineering) collaborated with Rick Miller and Brittany Legasey of Park Spirit of Worcester, Inc. to establish the Elm Park Conservancy.